Written by Janet Choi on December 8, 2016 . This mindset context is often missing from the strategies that companies use to communicate with their leads and customers. Approaching messaging as a way to either help people determine or implement is useful to create communication that comes off relevant and helpful, rather than random and promotional. You can use this framework to create lifecycle messaging that aligns with a customer’s decision-making process. For example, you can send email tailored to people in these broad phases, reaching users pre-signup (Stage 1: Deliberation) and post-signup (Stage 2: Implementation). 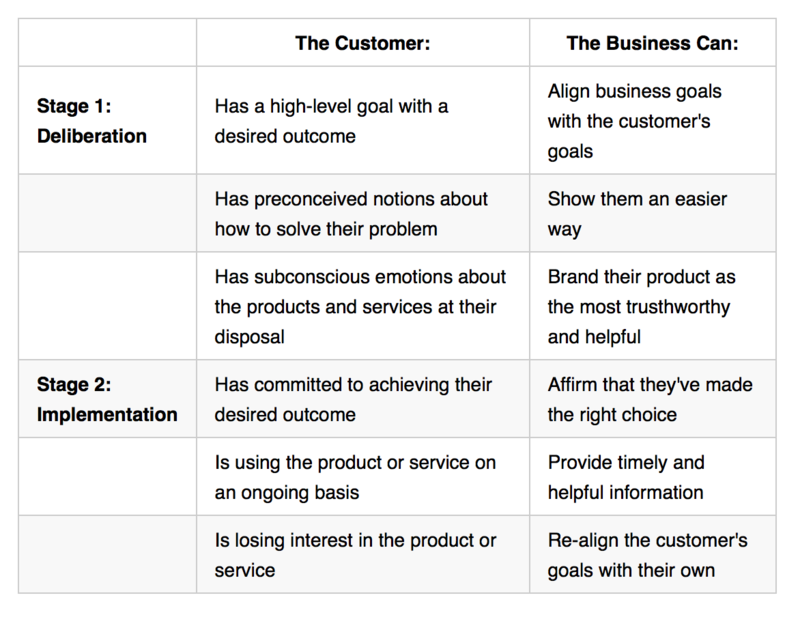 The chart below breaks down some common customer challenges in the deliberation and implementation stages of their lifecycle, along with ways that businesses can respond: Product and marketing teams often use this framework without quite realizing it. Used deliberately in your customer approach, the framework is even more powerful. 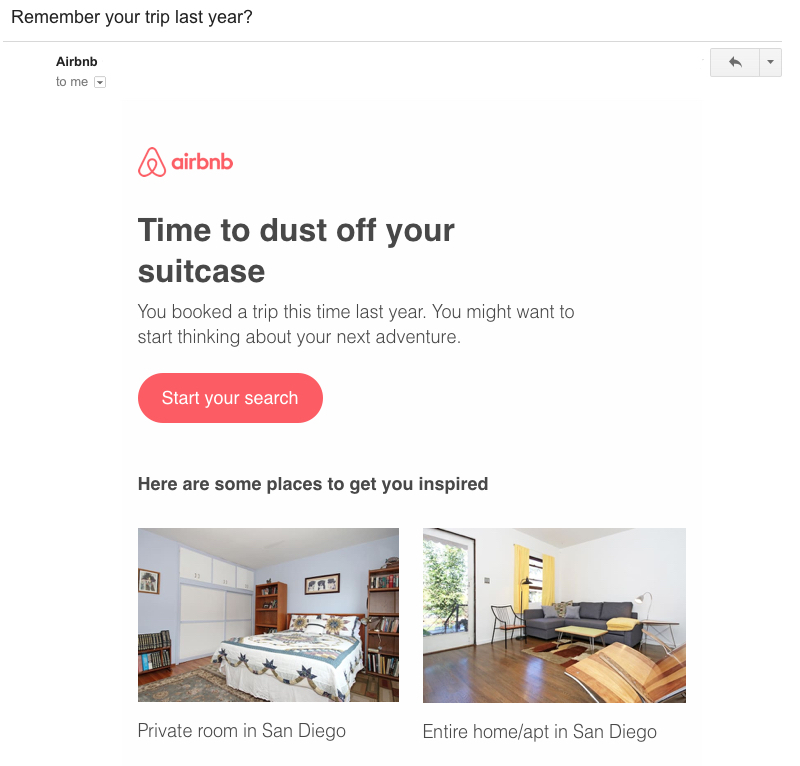 Equally often, companies craft messages that don’t sync with a customer’s current phase. An “implementation” message to a “deliberation” customer isn’t just unhelpful, it makes for a bad experience during a delicate time in the lifecycle. In this post, we’ve collected some examples that illustrate strategies for reaching customers in these two phases with the appropriate message at the right moment. Let the customer lead the way and use these simple guidelines to shape the appropriate messaging. Customers in the deliberation phase are seeking—sometimes consciously, sometimes subconsciously—a connection that will point them in the right direction. The line is generally clear. A customer that hasn’t yet signed up or one that has taken a soft step (a free trial, for example) is still deliberating. If they aren’t paying you, they aren’t truly implementing yet. While people are still deliberating, communicate with them effectively by addressing the questions they’re mulling over and supplying the education and information they’re most likely seeking. To see what we mean, we’ll borrow examples from a few industries to look at how different businesses solve this problem for their customers. Consumers and businesses tend to make decisions in the same way, albeit with different processes. In either case, emotions, urgency and past behavior contribute to the ultimate choice. Regardless of whether you’re selling to consumers or businesses, you need to understand their goals before sharing how you can help them achieve those goals. 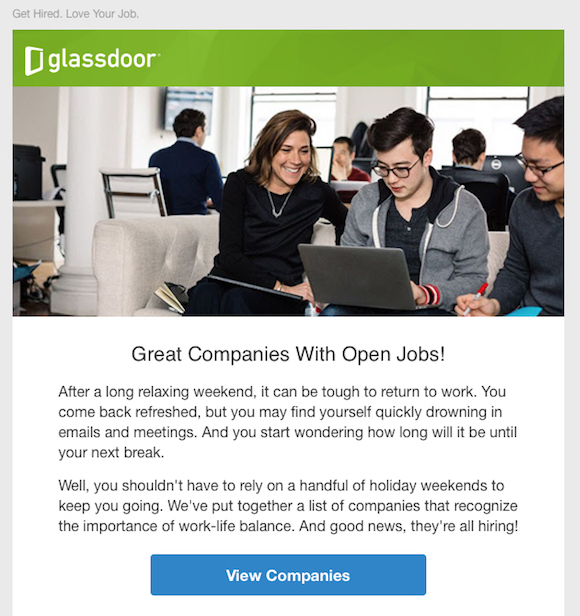 This email from Glassdoor a great example of high-level alignment on goals between the lead and the business. It is content-driven and sells ideas, not solutions. That helps this message resonate with their ideal customer’s goals. 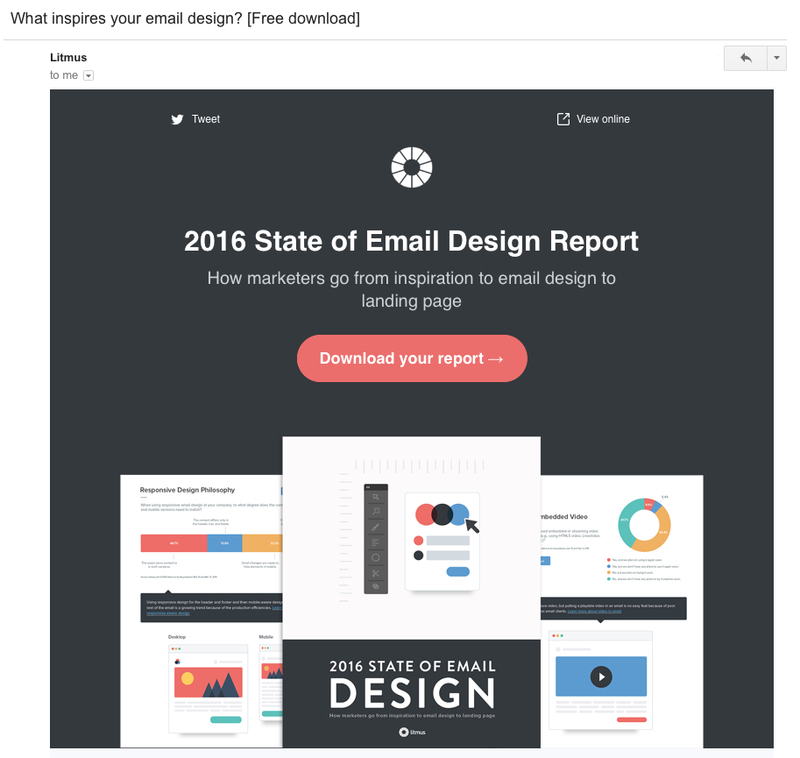 A few other things help make this email successful for their audience. It’s sent on a Tuesday, smack in the middle of the busy workweek. It also leverages Glassdoor’s own data about work-life balance and the companies that are hiring—the segue to the product is both logical and useful. It’s likely that your prospect or new trialer does have a goal, but isn’t sure exactly how to achieve it. Along with uncertainty comes preconceived notions about the way things are done. You can address this by answering common questions before they’re asked. Anticipate these questions by talking to your sales and support teams. Where are people struggling? What is holding them back from implementing our product/service? Newton is a new kind of running shoe company that launched in 2007. The shoes are built to promote better running form, but are very different from their competitors. 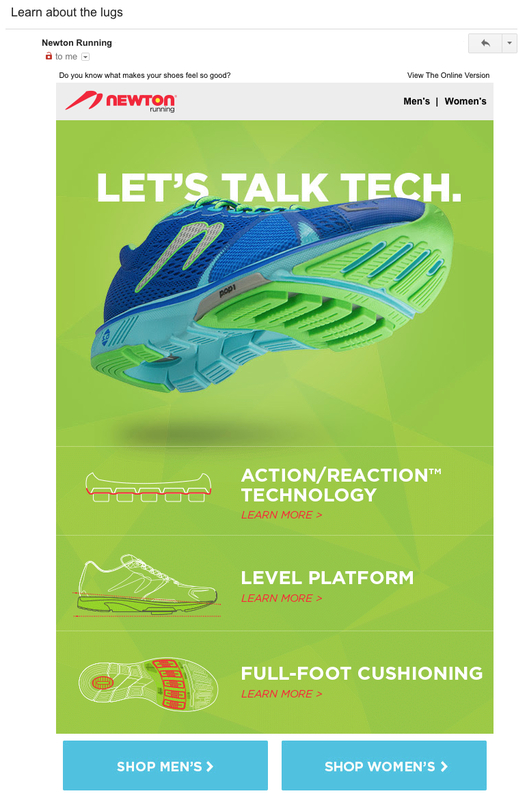 They use their emails to explain how their shoes work and why they could be a better choice than Nike or Brooks. In this case, the customer’s goal is likely injury-free running. They’re deliberating on the best way to achieve that goal. If they’ve already come across Newton and subscribed to the newsletter to get more information, it’s the perfect time to differentiate the product. Every interaction with your company helps people form an opinion about you. The colors in your marketing, the copy on product pages, even the tone of your tweets—it all factors into the emotional reaction. But “branding” is a vague word. There are many ways to interpret branding, but perhaps the simplest is helping customers establish positive feelings about your company (not just your product). (It’s important to note that you can’t fake a great brand. It’s built into the DNA of the company. You can put branding to work in your emails, but only if it’s an accurate reflection of your business.) Plenty of companies use content to provide information, but Litmus took the time to survey more than 900 email marketers to create its State of Email Design Report. The result is a community-oriented resource that’s helpful to email marketers whether they use Litmus or not. It’s just the kind of thing that creates the positive branding connections that you can draw on later on the customer lifecycle. The deliberation phase is all about helping customers connect the dots. Not only do you want them to have positive emotions about your brand, you want to convey that you have the ability to help them achieve their desired outcomes. Once they’ve decided that your product or service can help them, it’s about implementation. How do you get them up and running and maintain engagement? The first step is simply affirming their decision. Know as milestone emails, these messages congratulate customers on taking an important step. Welcome emails can fall into this category, as can emails that reward users for any number of breakthrough events events in their lifecycle. 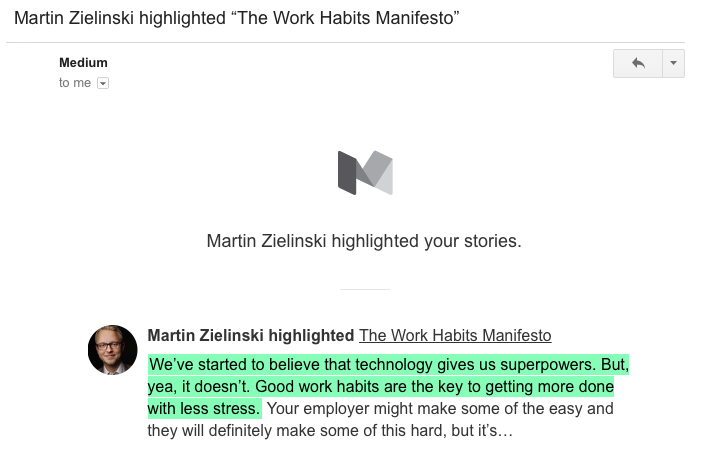 Medium tackles notifications and milestone emails in one fell swoop. Their emails alert writers to highlights and comments, but also close a positive feedback loop. Here’s proof that the work you published on Medium is reaching people. 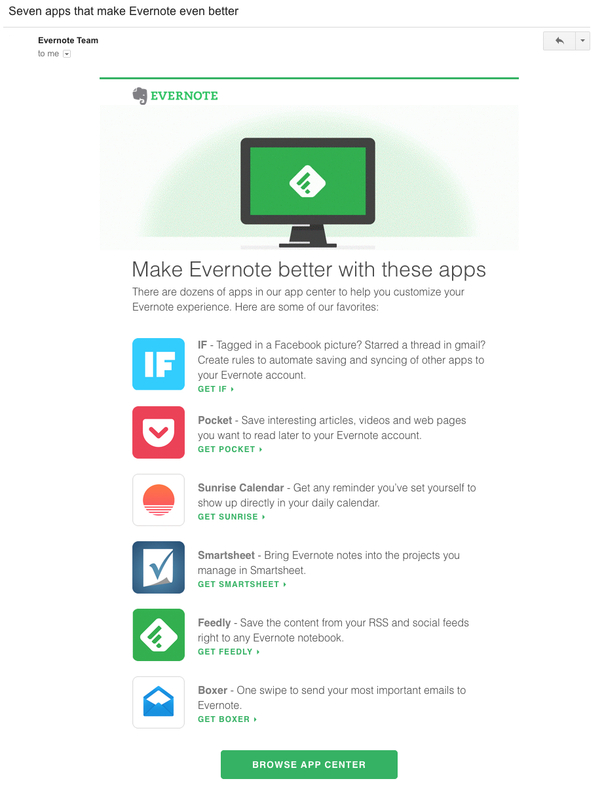 click to view larger image Evernote does this with tips for using their software. Newton could do it by providing workout ideas. Medium can do it by sharing the work of other writers. Glassdoor can do it by offering a salary estimator and resume writing tips. In every case, ongoing usage of a product or service should be paired with timely information. Understanding where the customer is in their lifecycle is paramount to communicating effectively. It takes empathy, perspective and a bit of data to pinpoint the kind of message that people need–and then deliver it.